It’s week two of the Texas Swing, and Tim is out walking the course during practice rounds, and tweaking swings and equipment. Plus a quick trip to work with a Web.com student. I have to admit, one of the coolest things we get to do is to help and equip professional golfers. It’s exciting and humbling at the same time. It’s a level of trust that many shops of our size do not have or even think of earning. 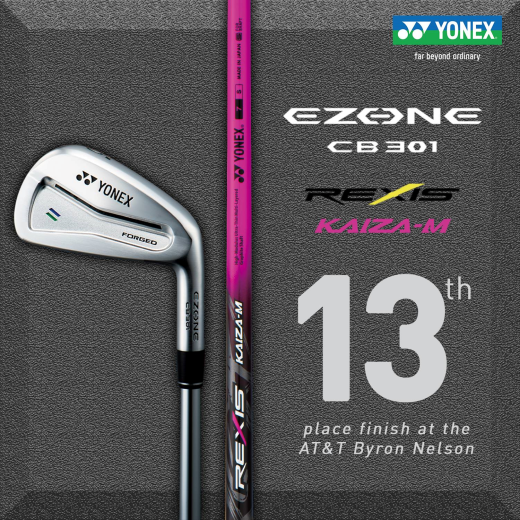 In fact one of our guys used his Yonex CB301 irons and his Rexis Kaiza-M pink shafts in his woods, to position himself in 13th place this past weekend. I’d say that’s a nice 4 days of work! In my golf travels, I have met many folks. About 99% of them are kind and generally really nice people. 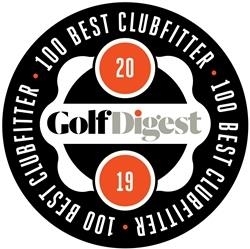 Then there is that 1% that like to, let’s say, antagonize golfers that have less skill than they do, or fail to acknowledge that golfers are different. Sometimes these guys are online, hiding behind a keyboard. These folks fail to realize that not everyone who calls themselves a golfer uses blades or has the same skill set. I know golfers personally who can ballstrike like no-one's business, but have a hard time putting. Or conversely, those who can read every contour of a green and sink a 20 footer, like it’s a 2 footer (I’m jealous of them particularly). There is a guy I know who plays to a plus using a bag of hybrids. 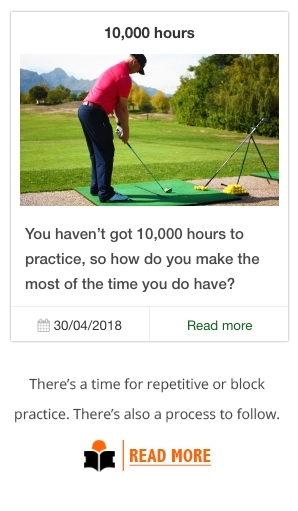 There’s no one way to play golf. In his view, golf is hard enough. I guess this a public service announcement. Encourage others in their games. We find that many people love this game, but are intimidated by golfers who are better than they are. Words and actions can cause people to simply stop playing because they didn’t feel welcomed or made light of the equipment they have. 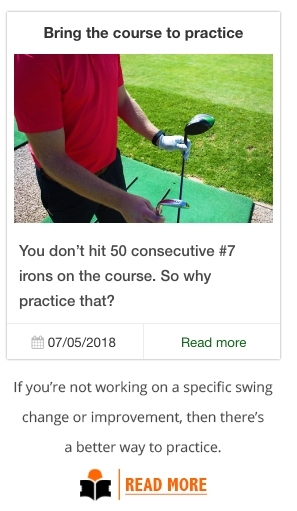 Something that we’re going to try here at The Golf Station, is putting your nice faces on an immediate testimonial, for someone who had yaradge gains, after trying their new equipment when compared to their old bag. In June, I fully expect to have my devestatingly handsome mug, posted just like this fellow. 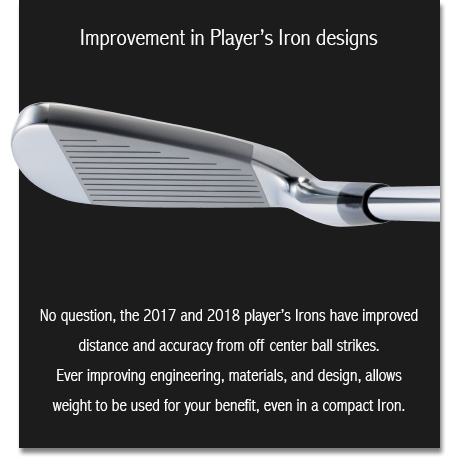 Whether it’s with irons or woods, we’re going to make sure you know about it so you can see what yardage you can possibly gain. 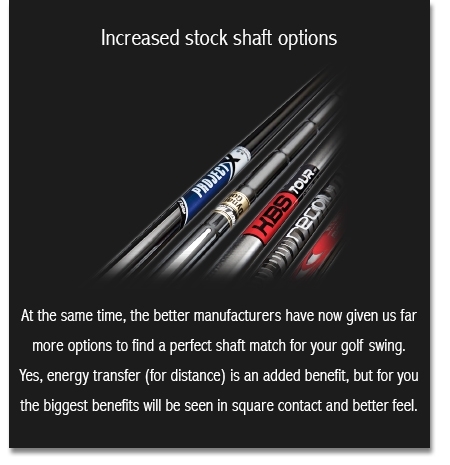 With the right combination of heads and collection of over 400 shafts, we know we’ll have your game in order and earn our trust. 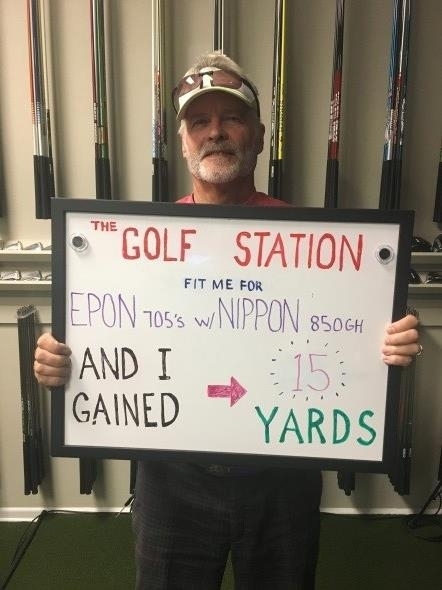 But as you can see, this gentleman was fit into Epon 705’s and Nippon shafts. These were the combination of everything he tried that gave him the feel and performance he wanted. 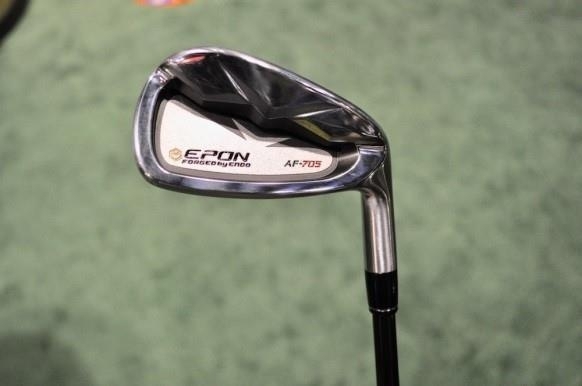 Epon is one of the premier brands we carry and Nippon shafts are one of the most fit and purchased shafts we have, because of their feel and performance. This other nice fellow, was given his first lesson of a package, and gained him an average of 12 yards with every club in his old set. He now knows where his ball is going. In short order, we fixed him, and we can fix you too. Real people and real stories. I certainly hope to see more and more of these. Accuracy is just as important as well. It does you no good to gain 20 yards if you’re searching for your ball with potential rattlesnake sightings and briars sticking you in the legs. 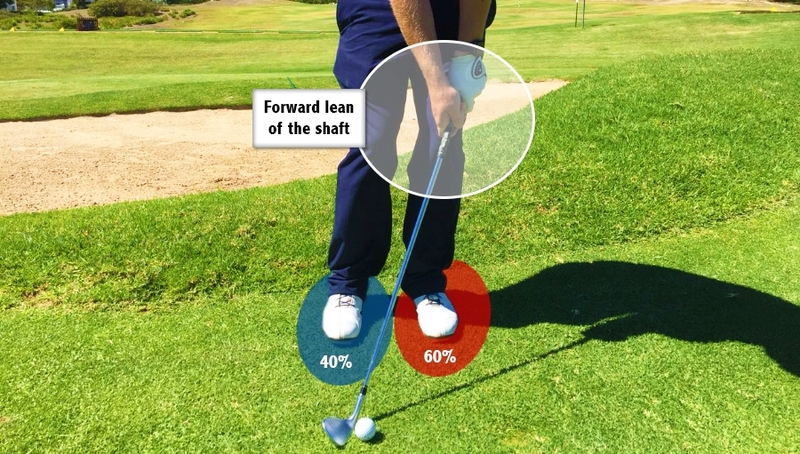 Having your clubs PURE’d is the surefire way to remove excess ovaling in any club whether they are a new set or a well-loved and loyal set you just can’t part with. We have a number of ways we can not only help you, but now a way we can help celebrate your successes. 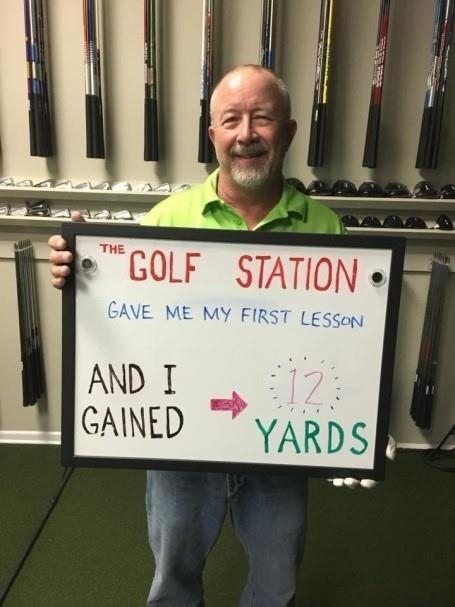 We’re just as happy as you are when you fix your slice or gain distance. Click here or call 817.595.4653 if you’re ready to change your game and put your face in our newsletter.